Learn it the right way! Do our PADI Dry Suit Specialty to know how to safely dive in a dry suit! Not getting cold, means you can make longer dives and see more underwater! Although most of the season we have lovely warm water to dive in, we can offer you a high quality PADI Dry Suit Diver Specialty which will enable you to dive in a dry suit all around the world! Our top class education combined with our new, top of the line ::Mares Ice Fit dry suits:: will ensure a perfect introduction to dry suit diving! Usually you control your buoyancy using your BCD, but when diving in a dry suit you use the dry suit to control your buoyancy. 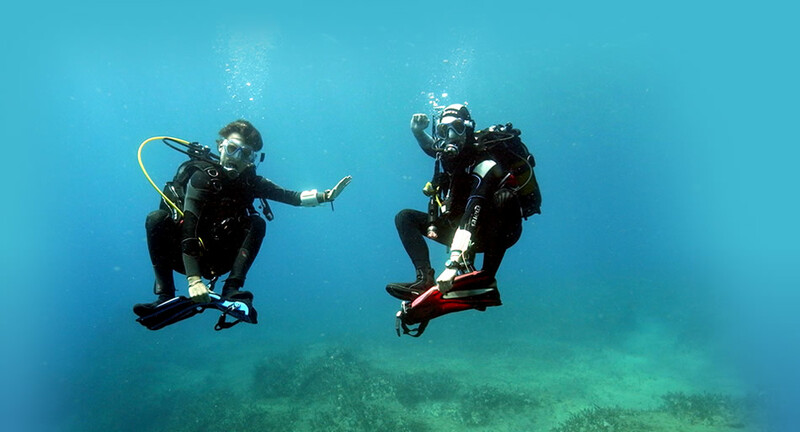 This enables you to achieve a neutral buoyancy over your whole body – you can hover in any position! When doing the PADI Dry Suit Diver Specialty, you most likely will not own your own dry suit yet, which is no problem because we have a wide range of sizes in our ::dry suit rental:: collection.